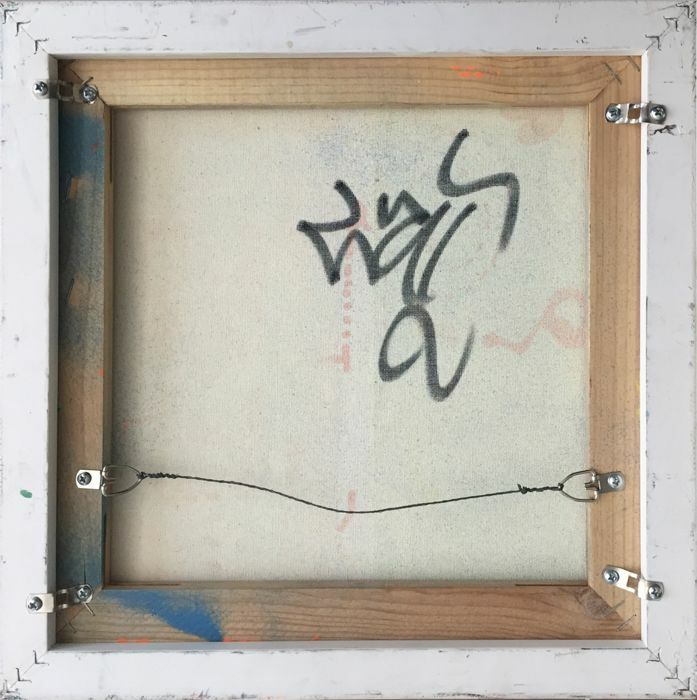 LA2 (Angel Ortiz) - "LAROC"
LA II- " LAROC" Painting, Mixed Media, Paint Pen, Acrylic, oil on Canvas, Size 11"x11". 2018, Signed Verso. Comes framed. Framed size measures 13.75" x 13.75". L.A. II is the "tag" or alias taken by Angel Ortiz, a young graffiti artist from the Lower East Side of New York City. L.A. stands for "Little Angel." He also occasionally used the tag L.A. Rock or L.A. 2. 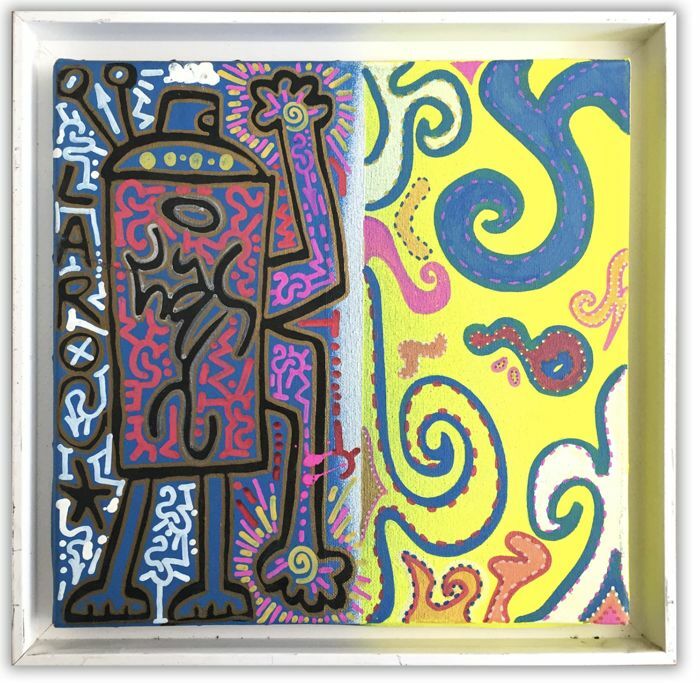 When he was 13 or 14 years old, Ortiz was befriended by artist Keith Haring and they collaborated on a number of works from 1978 to 1988. 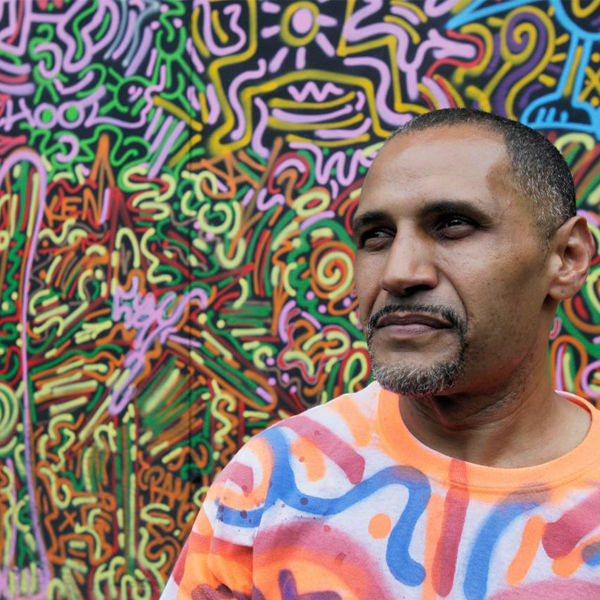 Haring felt Ortiz' "tag" style stood out from that of other New York graffiti writers. It seemed to resemble Asian calligraphy done. Haring and Ortiz began combining their styles to create an overall surface of intermingling lines. Haring said, "All the work [Angel and I did] was about surface and usually covers or transforms the object it is applied to." They covered Day-Glo painted plaster sculptures, real objects, or room-sized installations with a kind of graffiti writing that was a mixture of contemporary and ancient symbols. 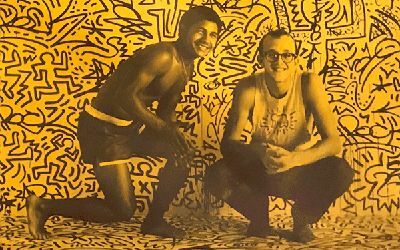 Now LA2 is still a young artist, recognizable, with his tag and style, but covered by the greatness of Keith Haring. LA2, from Haring, have visibility and shadows. His market is waiting for new situations, because in effect, LA2 is for Haring the same that Jean-Michel Basquiat was for Andy Warhol. 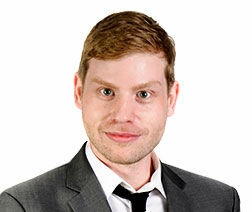 But, fortunatly, He is still in life, and his art adventure is only at the beginning.